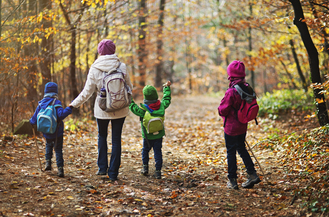 Visiting a state park can help expand children’s horizons. That’s why New York State is offering state grants to public schools throughout New York State to fund field trips to state parks and historic sites for environmental, history and physical education programming. The Connect Kids to Parks Transportation Grant program is available to Kindergarten-12th grade classes in Title 1 public schools. The grant application is reviewed on a rolling basis for field trips anytime in the 2016-17 school year. For more information visit www.nysparks.com or e-mail parksbusgrant@parks.ny.gov. Construction has begun on a 5,000-square-foot facility to provide a new year-round gathering space for educational, recreational and volunteer programming in the heart of the Grafton Lakes State Park. "The Cottages at Sampson" will create 10 new vacation cottages providing quality, affordable lakefront accommodations on the shore of Seneca Lake. The modern rustic Cottages at Sampson will feature both one- and two-bedroom units, as well as a bathroom, kitchenette, covered outdoor deck and comfortable furnishings and lighting. 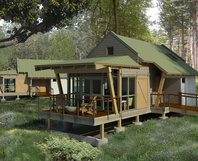 The lakefront cottages will feature dramatic sunset views. Construction is expected to be complete next fall. Cottages will be available for rental from May thru October each year. The $2.9 million project is funded by Governor Cuomo's NY Parks 2020 initiative, a multi-year commitment to revitalize State Parks. 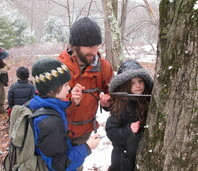 Spend time with family and friends this holiday season and keep fit by exploring New York State Parks together. Get your pulse running and join us at Nissequogue River State Park for their 9th Annual 5K Run/Walk & 1K Turkey Trot for kids on Thurs. Nov. 24th. Continue your holiday exploration by participating in one of Minnewaska State Park’s hikes. Buttermilk Falls State Park will be offering a 3.5 mile “First Saturday Hike”on Dec. 3rd or explore Connetquot River State Park with a 3-4 mile nature hike. State Parks provides countless ways to stay active and exercise - no matter your age or fitness level. For a complete listing of upcoming events, visit #GetFitNYS. New York State Parks are waiving the vehicle entry fee for Black Friday, November 25, so why not get outside and enjoy? As an alternative to busy shopping centers, parks across the state are offering special events and programs – including the ‘Buy Nothing Day’ that allow visitors to recycle and repurposes items into gifts, the Thanksgiving Walk Off and even a surprise visit from Santa on Black Friday that’s sure to excite. 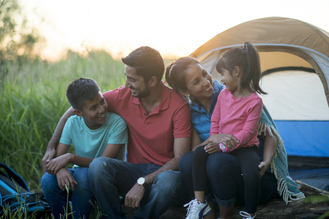 Governor Andrew M. Cuomo recently announced that State Park campgrounds set a new record for attendance for the fifth consecutive year. Through Columbus Day, campsites, cabins and cottages across the state were occupied for more than 633,000 nights, surpassing 2015's record of 623,891 nights. 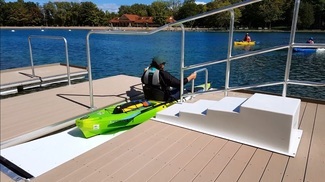 Newly designed docks that make it easier for people with disabilities or physical challenges to launch kayaks and canoes are being installed at New York State Parks. The first launch was installed at Green Lakes State Park in Fayetteville and others will soon be installed at Buffalo Harbor State Park, as well as at Seneca Lake State Park in Geneva and Wellesley Island State Park near Alexandria Bay. State Parks will work to expand their availability at popular paddling destinations in the coming seasons. Read more. The Black Diamond Trail connecting Taughannock Falls State Park to the City of Ithaca waterfront is now open. 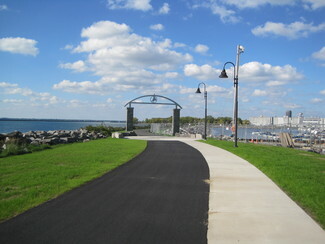 The completed 8.5-mile trail, safely removed from automobile traffic, features a scenic view of Cayuga Lake. Lt. 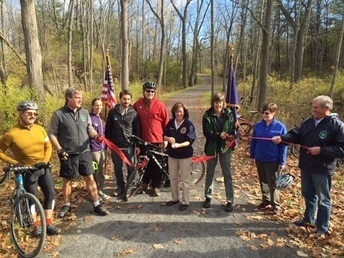 Governor Kathy Hochul recently joined state representatives, park officials and trail users for a ceremonial bicycle ride on the trail. Named after the Black Diamond Express passenger train, the trail on an abandoned railroad line was first envisioned in the early 1970s and will eventually span 12 miles from Taughannock Falls State Park to Robert Treman State Park. Read More. 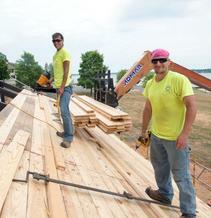 Alvin Walker, Rachel Bowman and Bobbie DePillo are Parks employees from the Finger Lakes region who took part in a two-year carpentry program in partnership with their union, CSEA. They received classroom instruction and practical hands-on experience. All of them are excited to learn more skills, enjoy the company of their co-workers and make a career working for New York State Parks. How long have you been with the agency? Alvin – 10 years; Rachel – 7 years; and Bobbie - 10 years. What does someone in your position do? Rachel Bowman – I’ve enjoyed being a trades assistant and gotten a chance to work with painters, licensed electricians, plumbing… and had an opportunity to learn new skills. What’s the coolest thing you’ve seen? Bobbie – Getting a chance to check out Watkins Glen State Park in the winter, all the frozen waterfalls and ice are incredible! Most people only visit the park during the summer or fall but it’s an entirely different park in winter. What inspired you to work in the park system? Alvin Walker – For me it was really simple. I studied Environmental Science and the chance to work for Parks was a great opportunity.